Following the convulsions of 1968, one element uniting many of the disparate social movements that arose across Europe was the pursuit of an elusive “authenticity” that could help activists to understand fundamental truths about themselves—their feelings, aspirations, sexualities, and disappointments. 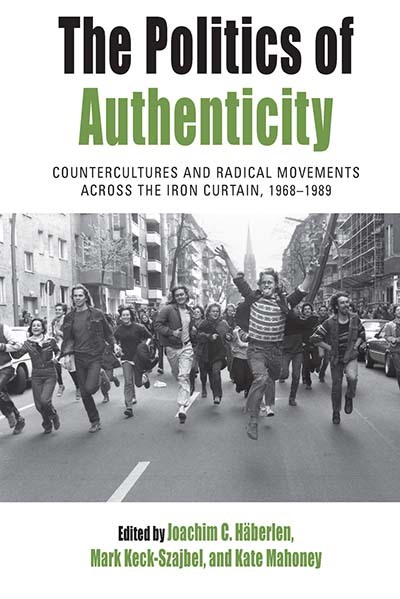 This volume offers a fascinating exploration of the politics of authenticity as they manifested themselves among such groups as Italian leftists, East German lesbian activists, and punks on both sides of the Iron Curtain. Together they show not only how authenticity came to define varied social contexts, but also how it helped to usher in the neoliberalism of a subsequent era. Joachim C. Häberlen is Assistant Professor of Continental European History at the University of Warwick. He has previously coedited a theme issue on emotions in protest movements for Contemporary European History (2014) and published numerous articles. Mark Keck-Szajbel is an Academic Research Fellow at the European University Viadrina. He received his doctorate in 2013 from the University of California, Berkeley for his dissertation on Eastern bloc tourism in the 1970s and 1980s. He was most recently a long-term research fellow at the German Historical Institute from 2015 to 2016. Kate Mahoney is a Postdoctoral Researcher in Modern British History at the University of Essex. She completed her doctoral thesis on feminist mental health activism in late twentieth-century Britian at the University of Warwick in 2018. She has contributed to collections on researchers' emotions and the experiences of PhD students within the neoliberal academy.